Penobscot County (pop. 153,923) is Maine’s third-largest county in population. Most of the northern part of this odd-shaped county is wilderness, and the southern part is the urban area around the city of Bangor. Bangor (pop. 33,039) is the county seat of Penobscot County and the third-largest city in Maine. It’s 30 miles up the Penobscot River from Penobscot Bay. Much of Bangor was rebuilt after the Great Fire of 1911 destroyed hundreds of commerical and residential buildings. 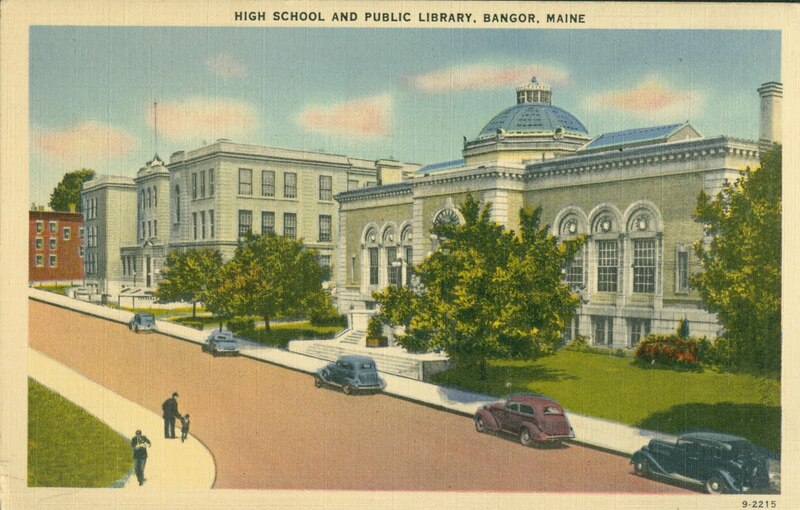 The Bangor Public Library opened in 1913. 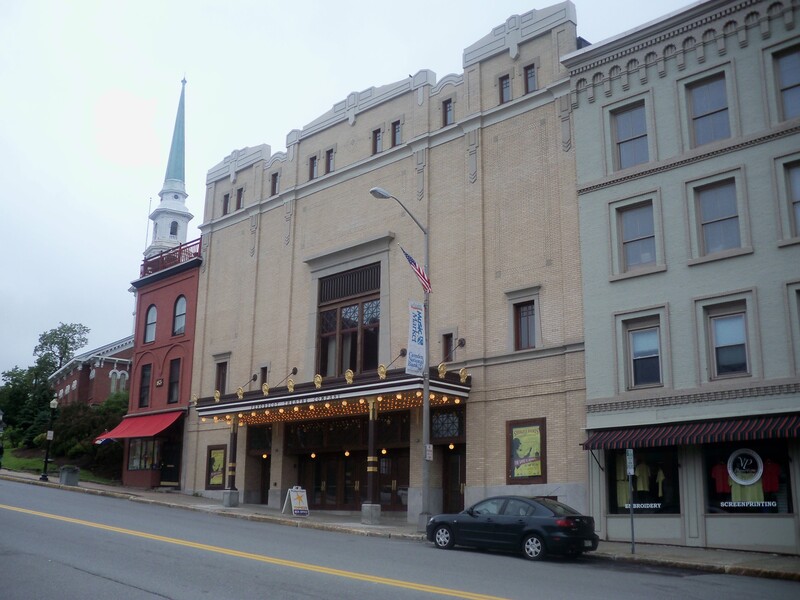 The Bangor Opera House dates from 1920. The Penobscot Theatre Company – which calls itself the northeasternmost theater company in the U.S. – presents a regular season of live plays in the theater. It was a movie house for many years. 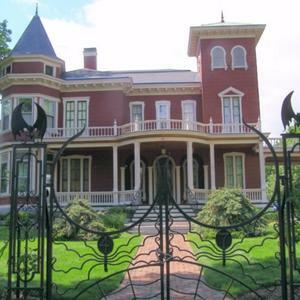 Author Stephen King lives in the Bangor area; the Greater Bangor Convention and Visitors Bureau offers regular “Tommyknockers and More” bus tours of locations from King’s books. 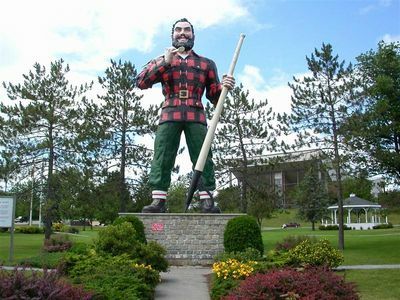 Bangor (as well as places in Minnesota) claims to be the birthplace of Paul Bunyan. A 31-foot statue of Paul is in Bass Park. In the town of Orono (pop. 10,362) is the flagship campus of the University of Maine. It was founded in 1868 as Maine State College. Today, it has about 11,000 students. The Penobscot Indian Island Reservation is north of Orono, along the Penobscot River. The Penobscot Tribe is headquartered on Indian Island. The town of Corinna (pop. 2,198) is the home of the Stewart Free Library, a gift to the town from Minneapolis millionaire Levi M. Stewart. This entry was posted in Maine and tagged Bangor, Orono, Penobscot County, Penobscot Theatre Company, Stephen King, Stewart Free Library.